Self Taping is, in my opinion, a must, if you want to work in Film or TV and aren’t a known actor. I know there is a lot of resistance to this, but in the US market, it’s just a given now. Where as here in the UK, you might still be able to get enough work, but you are making it a lot harder for yourself. This is where websites like Mandy are great. It’s a way to practice this new necessary tool and the stakes aren’t as high as they might be if you were getting 1 through your agent. In the US market, self-tapes coming from your agent are frequent. I know, I was over there last year and mostly what I got were self tapes – even for stage! I pretty much have on average, at least, 1 self-tape a week – that can be for acting, events work, voice over or singing. Oh, and yes, I’ve got work this way. Means you can do it enough times to make it the way you want. You can do it from the comfort of where you are, no need to worry about missing the train or not arriving on time. Compile a list of others who can read in. You don’t want them to be better than you, so your husband/neighbour/friend are brilliant as long as they can read. Readers sit off the other side of the camera and should not be louder than you. If you can’t find a reader, then you can always pre-record yourself filling in other lines or act like the other lines are being said. Have great respect for your reader and have as much as possible ready for their arrival. They are just reading with their cup of tea and not waiting around for you to set up. 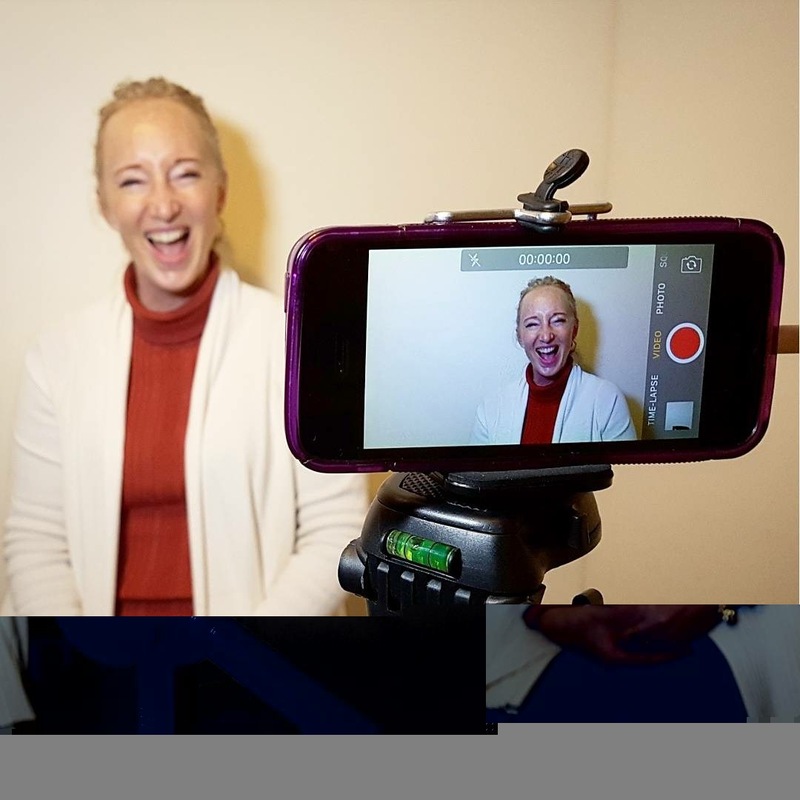 Get a free app like Voicerecorder on your phone to do your voice over self tapes. Wetransfer is an easy and free way to transfer all films. Make sure that you see yourself as the camera does, so everything, including where you put your eyeline is smaller than staged work. They want to see your eyes the whole time, so choose eye-lines which may seem too close to the camera. This means your eyes are seen the whole time. ‘The eyes are the window to the soul’ really applies to working with a camera audition. Don’t look straight down the lens, always just off from the camera, unless asked to do otherwise. When you can – buy a simple light. There are free ways to create better lighting, but I can’t go into all that here. Natural lighting can be great, but remember in winter that really limits the hours you can do it in. Buy a mic, when you can. 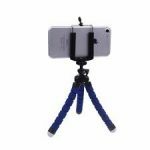 When you can – buy a stand for the phone/ipad/camera. This helps keep it steady, rather than having your scene partner have to hold it and read. You can even buy a simple small 3 legged stand. Then stack it up with books and chairs to the right level until you can get something else. Learn how to edit on your PC/mac. There are some easy/free tutorials on how to do this either through FEU, Equity, Spotlight or even just YouTube. Make sure it’s quiet when you are filming. If you have different scenes to do, each 1 of these can be edited together. Don’t over prepare with props and such. They only distract from you, so if you wouldn’t bring it into the room for an audition, don’t put it on this. It’s not likely to add much and could do worse and distract from you. Have a blank, plain background behind you, such as beige, black or blue. Always have the phone in landscape mode – just like the cinema – it’s horizontal and not vertical (too narrow a vision). Clean everything from behind you – including papers, paintings, everything you can – this can be hard, but do your best to clear out as much as possible. If they don’t state it in the brief, it’s either shoulders and up or waistline and up that they want to see you and don’t chop your head off, leave a bit of space at the top. Learn how to do title cards, as you maybe asked to do them. I often add my name, agent and head shot at the end, so it’s easy for them to find me without having to find my notes somewhere. Compress to mp4 format – other formats can be too big to send. Check that it worked – is it in focus? did the sound work? are you centred with a blank wall or sheet behind you? If all this is seeming too much, then you are exactly the person who needs to just start doing this. It isn’t as hard as it sounds and, if I can learn this, so can you! If nothing else you can start to find your ‘team’ to help you make this work for you. It may be a great way to exchange with other actors who have the skills you don’t. So, you can both be scene readers for each other or someone can edit, if you have the equipment. Look for the possibilities in this and you’ll find the answers. If you don’t believe me with this, then watch this short video which Equity has created, which offers some of the tips I’ve mentioned, just click here! If you’d like to see something I self taped recently check out my you tube channel by clicking here! I’m adding new stuff all the time. What are some tips you would add to the list? Please share below!